This beautiful family just recently immigrated from South Africa to Brisbane Australia and let me tell you this incredible woman is an amazing networker. Soon, Mellie was introducing ME to new people! 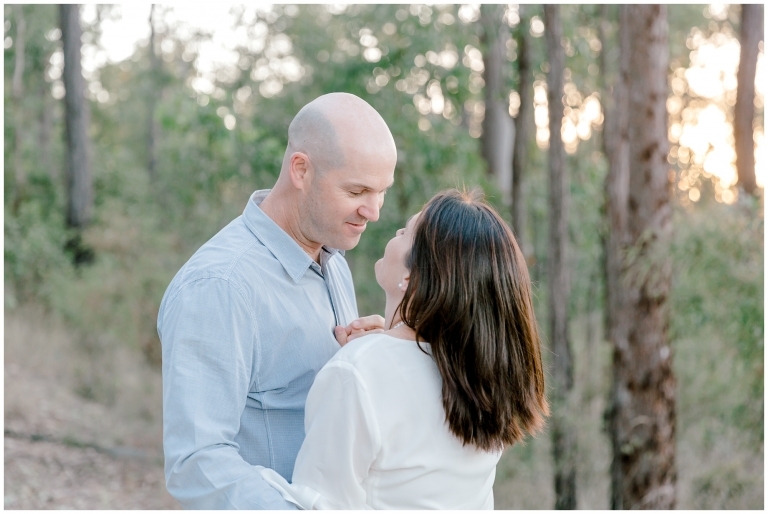 I knew a woodland session was perfect for them. Mellie’s Folks visited Brisbane for a few weeks and what a perfect time it was to take family portraits, that included the precious Grandparents. Her fun family and I just loved our time in this gorgeous woodland. They even laughed at my very poor attempts at funny jokes. Don’t even get me started on Hubby who is your typical blue steel man’s man. How was I going to bring out the romance in this guy???? Well Daryl totally surprised me and brought his romantic A game and had me swooning. They were so easy-going and natural in front of the camera. We created images that show connection but also showcase what everyone looked like at this time in their lives. They totally rocked their styling too. I just love it when clients follow the style guide. 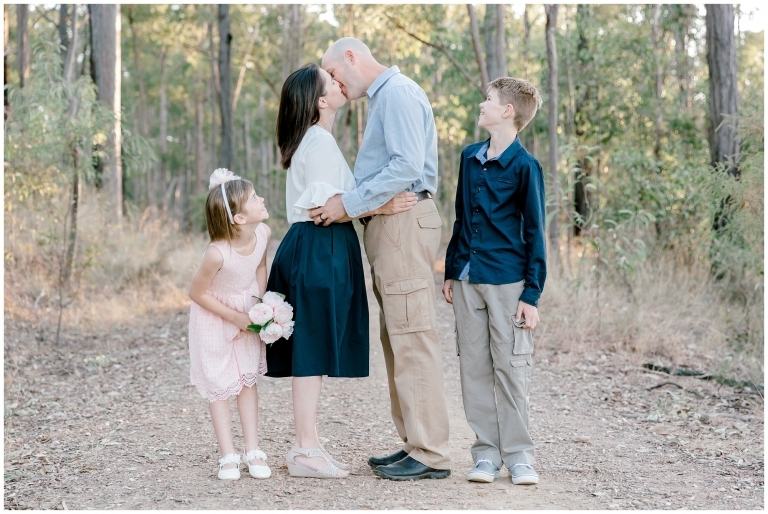 One of my favourite things is documenting families as they spend time loving and connecting with each other. There is something about the connection between people that I love documenting. I always endeavour to make every session an experience to be remembered. Those good feel memories. There is something about the way a husband looks at his wife even after being married for many years and still deeply in love. I love the mischievous connection between siblings that say I love and hate you all at the same and cannot imagine life without you. There is something about the way people’s faces light up when they are with the ones they love. Something truly beautiful happens when people connect with one another face to face and touch, whether by holding hands or hugging. You can see the twinkle in their eyes. Happiness written across their cheeks and dancing through their laughter. It is the beauty of being seen and loved by another human being. A beautiful unfolding of being loved completely. Is this not one of the most precious things we could ever capture? A legacy we want to leave. Surely this is something to be celebrated in your family? With all my heart I believe it is. These are the meaningful images that I guarantee you’ll love. Images that show true connection, genuine relationships and people just being their amazing selves. Wow! Moved from one continent to other! Incredible! I wish they will love thier new home.